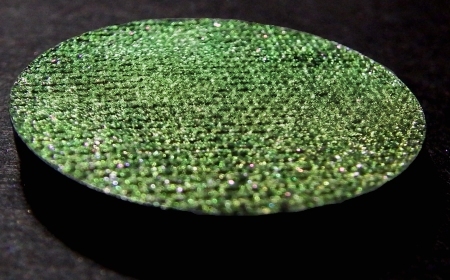 Deep, slightly ruddy metallic pink is filled with a touch of lime green sparkle when viewed straight on. 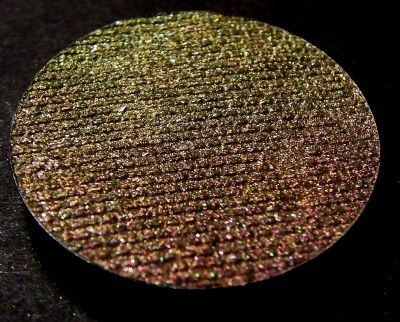 Angled or closer to light it becomes silvery-orange then chartreuse, to Kelly green to a cool deep emerald, and the sparkles become pink. 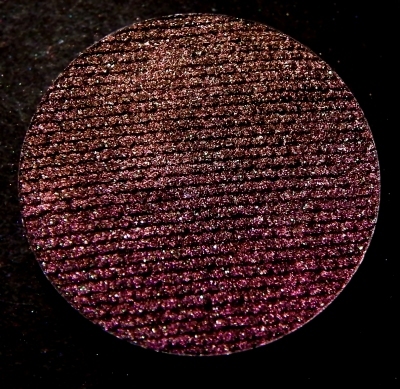 Utopia is the bottom swatch in all pictures. Swatches are applied heavily over primer. 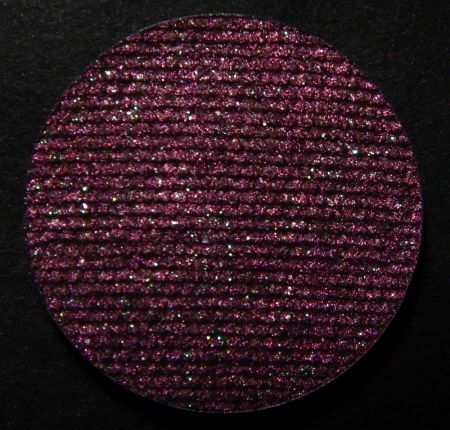 It is similar in shade range to Symphonic, but has more green, and the pink is warmer. The pictures show color variations at different angles. These shadows change color dramatically when moved closer to or away from a light source, or when angled. Indoor lighting usually gives the best results. There may be some slight shading variations in the product, which do not affect application color. See the category page before purchasing for further information.